This article is about using the Storypark iOS app. To log in, open the iOS app and enter the email address and password you chose when you signed up. 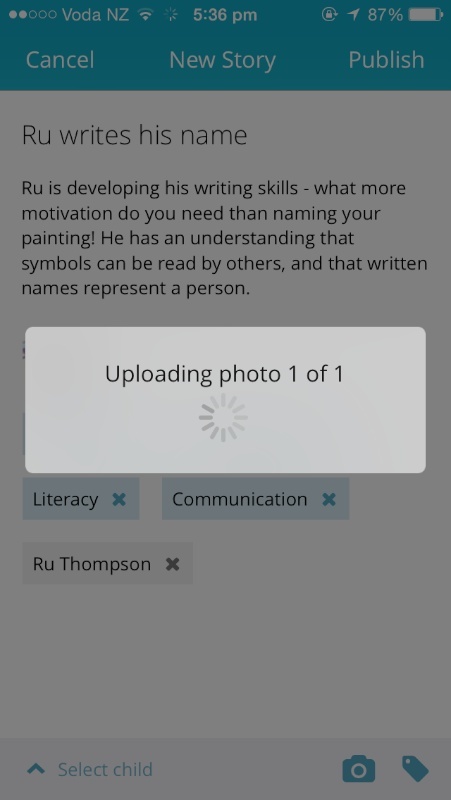 Access the draft stories you've started on your iOS device. 1. 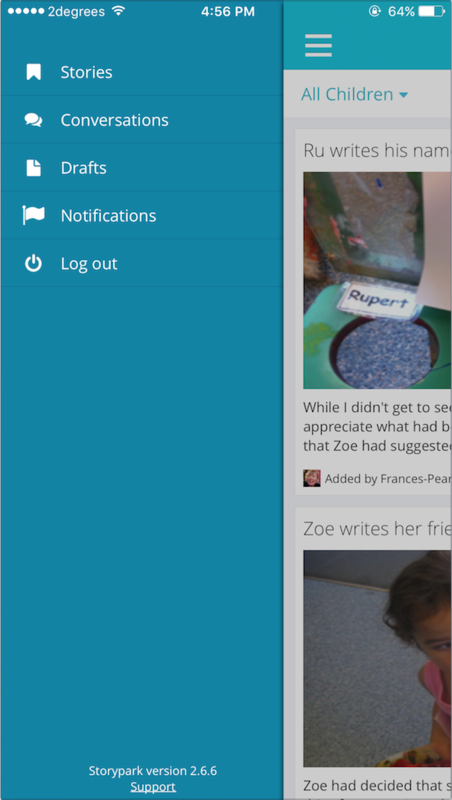 Tap the '+' symbol in the blue bar at the top of the screen. 4. Here you can write your story and give it an optional heading. 5. 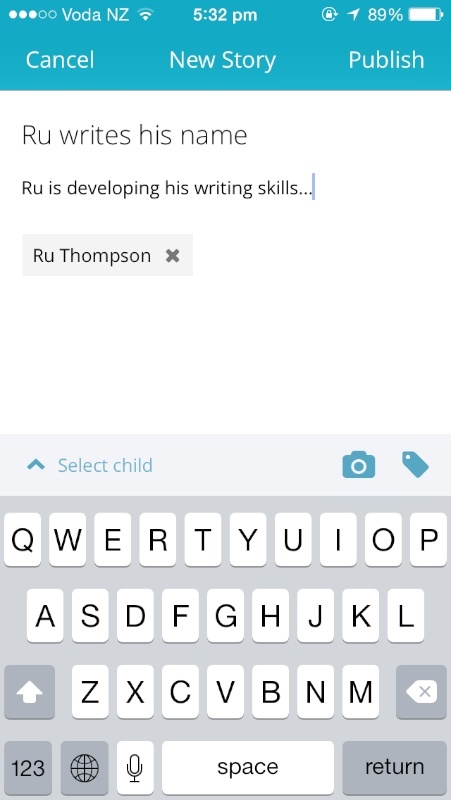 Add the child or children in the story by tapping 'Select child' at the bottom of the screen, and selecting one or more children. 6. When you're finished, tap 'Done'. 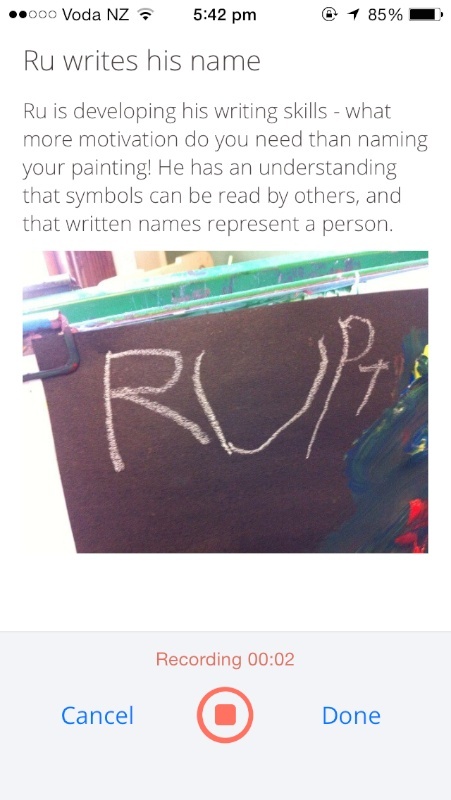 The children's names will appear in a grey box beneath the story. 7. 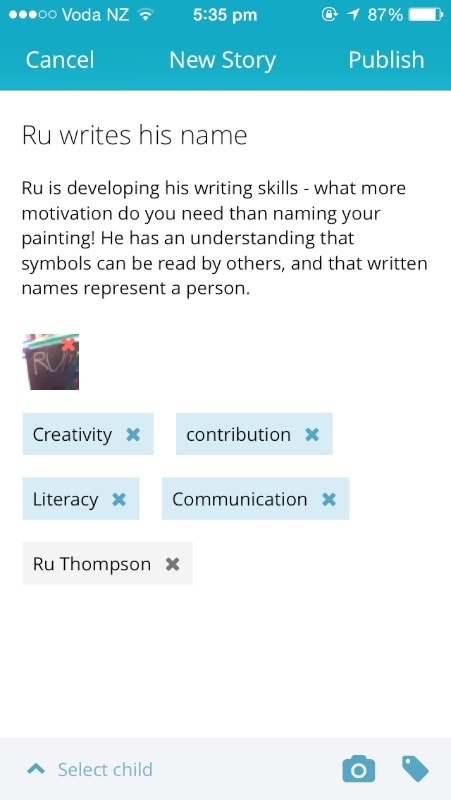 Add a learning tag by tapping the tag icon at the bottom right of the screen. You'll be shown a list of all your tags. 8. Select one or more tags, and they'll appear in boxes beneath the story. 9. 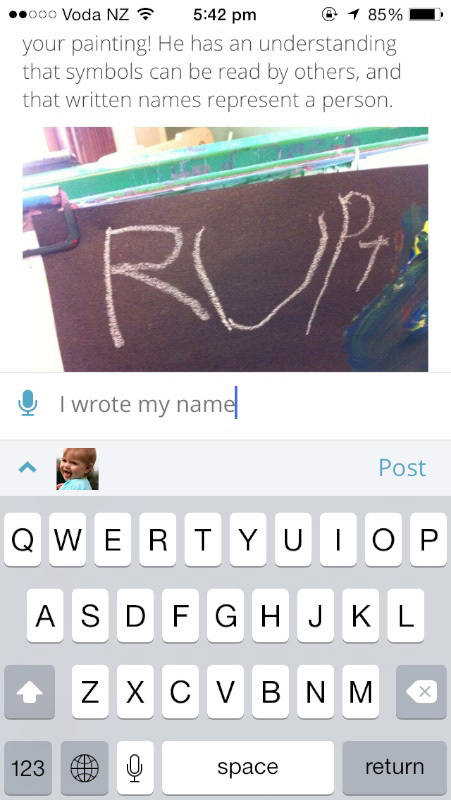 Add a photo or video by tapping the camera icon at the bottom right of the screen. You'll be asked if you want to take a photo (or video) or select an existing photo (or video). 10. If you select 'Take photo', your camera app will open. Take a photo or video, then choose whether to 'Retake' or 'Use photo'. 11. If you select 'Choose existing photo', you'll see all the photos and videos that are already on your iOS device. 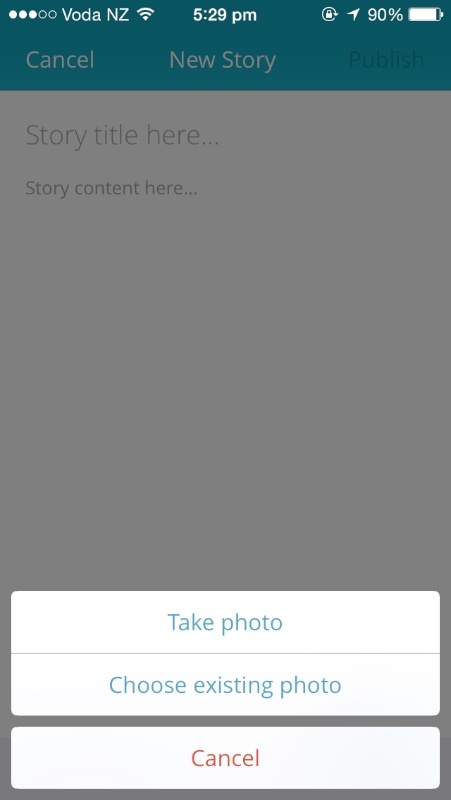 Select one or more, tap 'Done', and when the photos or videos have finished attaching their thumbnails will be shown beneath the story. 13. To publish your story, tap 'Publish'. 14. 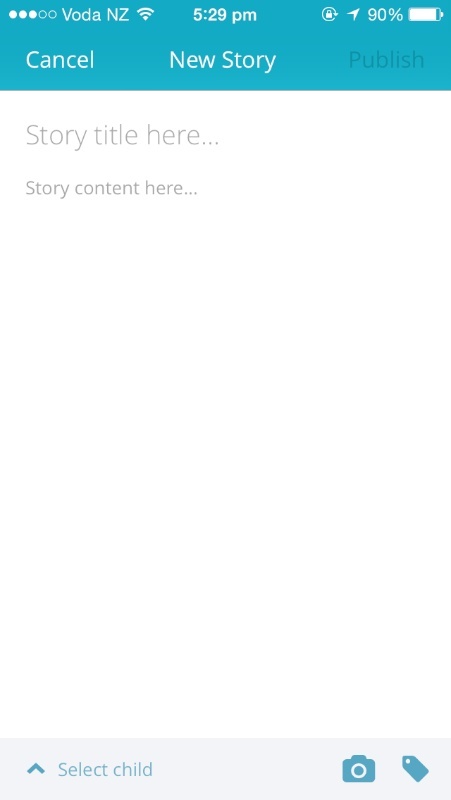 To save your story as a draft, tap 'Cancel' and then 'Save to drafts'. 1. Tap on the story the child will be commenting on. 3. Tap your profile picture beneath the comment field. 4. 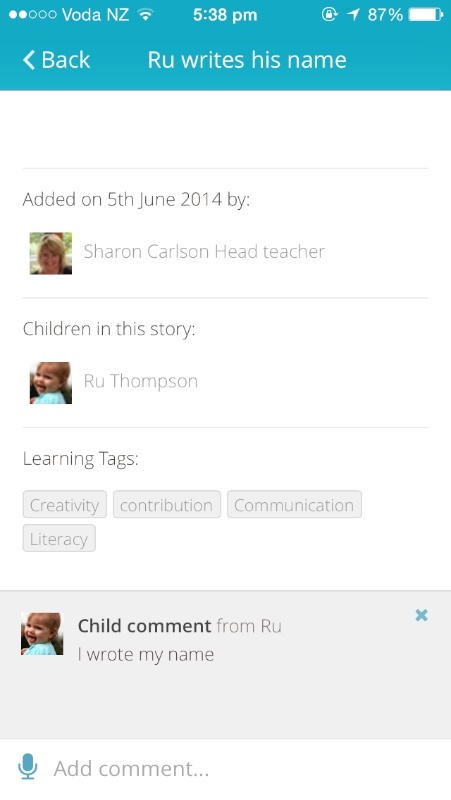 Select the child you're making the comment on behalf of, and tap 'Done'. 5. Type the child's comment and tap 'Post'. 2. 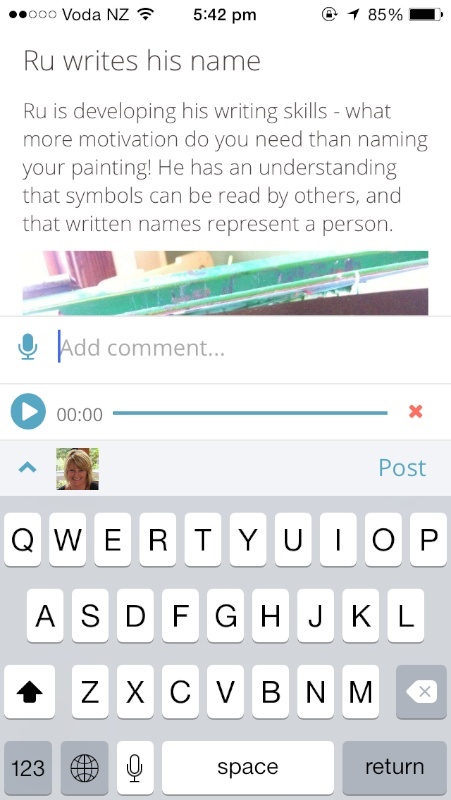 Tap the microphone symbol next to 'Add comment...' and recording will begin immediately. 3. When you've finished recording your audio comment, tap 'Done'. 4. If you wish to start again, simply tap the red 'x' next to your recording to delete it. 5. If you're happy with your recording, tap 'Post'. 3. 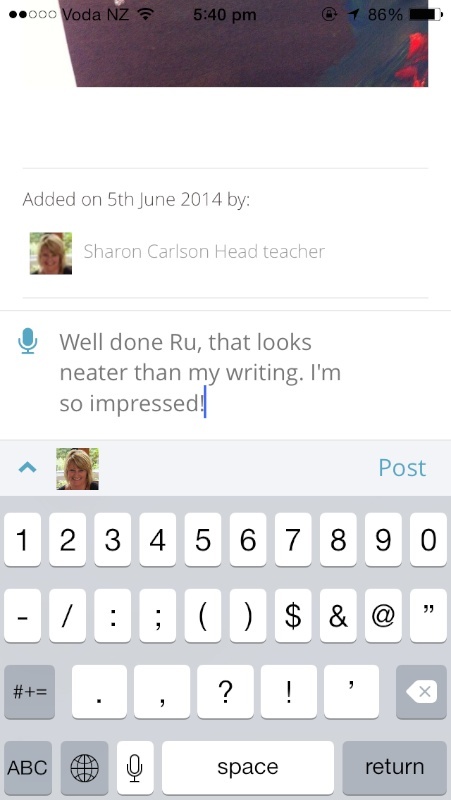 When the child has finished recording their audio comment, tap 'Done'. 4. Tap on your profile picture beneath the comment field. 5. Select the child who's making the comment and tap 'Done'. 6. If you wish to start again, simply tap the red 'x' next to your recording to delete it. 7. If you and the child are happy with the recording, tap 'Post'. 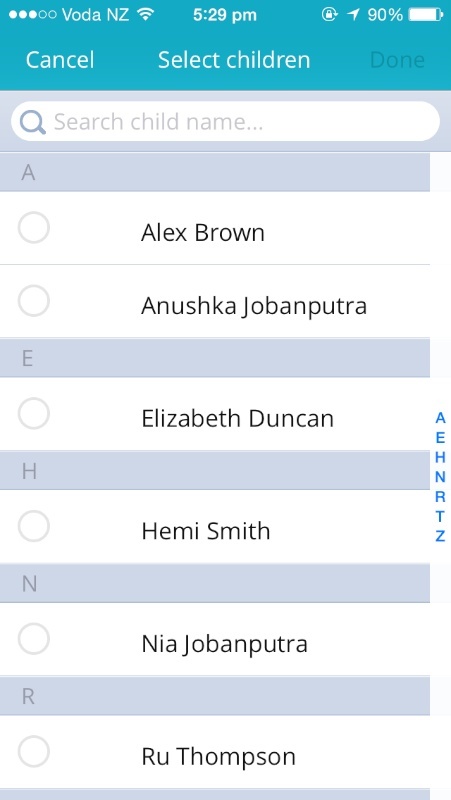 Tap the left-hand icon with the three lines in the blue bar at the top, select 'Drafts', and you'll see a list of all the draft stories you've started on your iOS device. 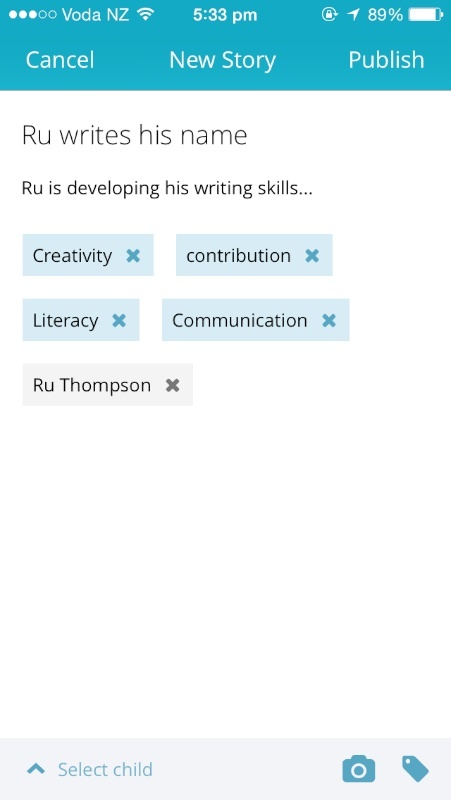 Select any draft to take you to the half-finished story where you then can edit, delete or publish it.